Do we become better or worse drivers as we age? Why do we indulge in risky behaviour when driving? Will technology remove the human role in driving forever? 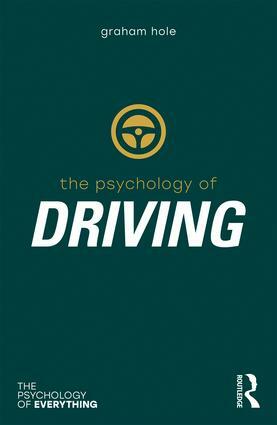 The Psychology of Driving is a fascinating introduction into the psychological factors at play when people get behind the wheel. Exploring the role of personality traits and cognitive functions such as attention in driving, the book considers why human error is most often to blame in road accidents, and how we can improve driver safety. The book debunks the myth that men are better drivers than women and considers why some people indulge in knowingly risky behaviour on the road, including using mobile phones and drink/drug-driving. In a time when driverless cars are becoming a reality, The Psychology of Driving shows us how human behaviour and decisions can still affect our lives on the road.